The so-called 'Second City', Birmingham has long been - rather unfairly - overlooked when it comes to its music - but the current crop of artists coming out of Brum means that it's finally getting the props it deserves. One of the city’s newest and brightest stars, rapper Mist, is set to play 1Xtra Live this year, making sure that Birmingham’s presence is felt at The O2 in London on 22 September. You can also hear Sideman discuss what it's like to be a Brummie in London on his 1Xtra show this Sunday 9 September. While Birmingham-bred music may be booming at the moment, the streets of 0121 actually have a ripe musical history with its own unique brand of UK grime and rap - and perhaps it’s simply that the rest of the UK is now finally sitting up and taking notice. There’s a long legacy of rap in Birmingham. The emergence of hip hop in the 80s and 90s inspired a burgeoning scene in Brum, with crews like Moorish Delta 7 and M.S.I. & Asylum forming. While these rap frontrunners helped popularise the art form in their hometown, it was The Streets' debut – 2002’s Original Pirate Material – that changed everything. Mike Skinner and co. flipped things in the city by turning away from America (the accents, the beats) and focusing inwards, drawing from homegrown UK influences like garage and pirate radio, and rapping in a distinctly Brummie accent. With bars reflecting the real lives of UK people, and beats taken from the streets and airwaves Skinner knew and loved, their song Let's Push Things Forward became a self-fulfilling prophecy. Since the days of The Streets, there’s been a specific Birmingham-led sound, with MCs getting more and more confident about staying true to themselves and their upbringings. 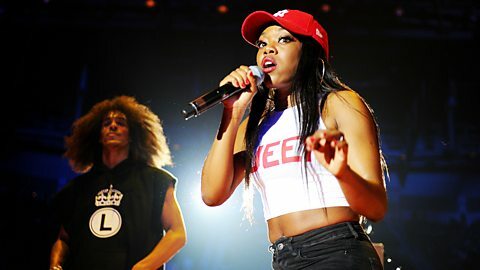 Lady Leshurr, for example (who released her first mixtape at just 14), has made her Brummie accent a cornerstone of her bars. Leshurr, like Skinner before her, puts British daily life at the centre of her work: garlic bread, Tetley's tea, Postman Pat, Wotsits, Brexit, beans on toast and The Jeremy Kyle Show pop up in her witty, playful bars. Local pride is characteristic of many of Birmingham’s new generation: Slick Don makes a point being different; of not coming from east London (arguably one of the birthplaces of grime). "Made in Brum not E3… B.R.U.M – I rep that," he raps on Brap. Elsewhere, SafOne has a track called She Wants a Man From Brum, a song title that’s worn like a badge of honour. Creator of the stunning The Queens Speech series smashes it at 1Xtra Live. Brave innovation is something that’s part of the city’s rap scene across the board. Dapz On The Map was one of the first ever MCs to be melodic, to almost sing, on a grime track – with Oh My Days – while Mist peppers his bars with Punjabi words, reflecting his distinctly Birmingham upbringing in an area with Jamaican and Asian communities living side by side. This diversity sets Brummie MCs apart from many of their peers: they’re speaking from a different, and quite unique, standpoint. Jaykae, for example, has White British, South Asian and Middle Eastern heritage – reflective of just how diverse Birmingham is. The development of grime in the city has taken on its own Brummie twist, too. Like in London, pirate radio – stations like Silk City, Passion, Serious and Heat – played out garage, reggae and drum 'n' bass, and were a training ground for local MCs, but without as much national attention as their counterparts in the capital. This insular nature, though, ultimately created a rawness and a sound that’s unique to 0121. 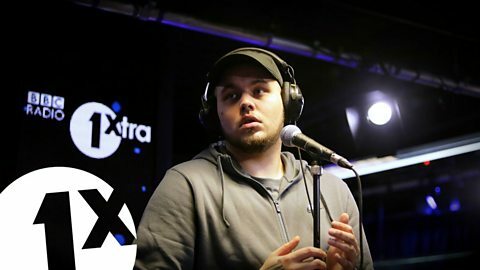 Jaykae covers Cameo's Candy in the BBC Radio 1Xtra Live Lounge. Notorious for her quick wit, Leshurr blends grime beats with her idiosyncratic MC style and infectious humour. One of the biggest names in Birmingham rap right now, her Queen’s Speech EP went viral in the US before she even blew up this side of the pond. She’s since taken her own unique brand of grime to an international audience. From MOBO Awards to working with grime OG Chip, Mist is worth checking out for his distinctive tone and accent alone. His latest project – the Diamond in the Dirt EP – demonstrates his ambition: as confident turning his hand to a stone cold grime banger like Moshpit as he is to the RnB-infused Wish Me Well with Jessie Ware. Pioneers of a melodic, RnB-indebted sound they have dubbed "Afrobbean", Lotto Boyzz met at a youth club in Newtown and combine dance floor vibes with hard bars. Their 2017 track Birmingham (Anthem) with Jaykae – full of niche references to their hometown and complete with a joyful video shot in and around the sights of Brum – reflects an exciting new pride and positivity coming out of the city. As they say: "The city of Brum, the city I love." Hailing from Small Heath (made famous by TV’s Peaky Blinders), Jaekae is known for his dark, atmospheric beats and raw bars. Tracks Toothache and Moscow have drawn millions of views and streams, and his rising profile has seen him work with big names like Skepta. It’s impossible not to love Slick Don's catchy old school beats and fast-flowing (often comedic) bars. Dat Boi and Brap are essential listening, as are his witty lyrics in general: taking on everything from football (Villa and the Blues, of course) to sociopolitical issues. Inspired by her hometown as well as US artists like Lauryn Hill, MC Lyte and Missy Elliott – as well as listening to her older sister's garage records growing up – Lady Sanity’s skippy, dynamic flow is as infectious as her message of female empowerment is important. He’s famous for racking up three million views on a video made in prison, but Remtrex’s icy cold, atmospheric production (see the Goonlyfe mixtape), identifiable flow and distinctly Brummie accent (see “Why is it like this blud?” on How It Goes) makes him a must for those checking out the Birmingham scene. A producer that’s been bubbling fiercely since around 2011 (when he caught the attention of Boy Better Know's Jme), Preditah has now reached boiling point by signing to Atlantic Records. Vinyls VIP is a good example of an early banger, while the dancefloor filler On My Mind with Jorja Smith (from nearby Walsall) demonstrates his dexterity and versatility. Start with the bouncy She Wants A Man From Brum but don’t miss the dark production of tracks like No Days Off or urgency of garage-inspired Know Where I’m From. SafOne has blown up in his hometown but he’s only just getting started. A perfect example of Brummie innovation, Dapz fuses hard grime with delicate melody and emotion. Tracks like Oh My Days and Murdah show how Birmingham MCs are developing grime and pushing it forward. Darx – a Birmingham grime producer – highlights how the city’s scene was vibrant but went unnoticed while grime blew up in London, and a particular moment in the city’s musical history that took place on pirate radio in 2001. Local DJ Vibez – who has been involved in Birmingham pirate radio since the early 2000s – adds: "[The] Birmingham pirate radio scene was massive back in the day... all with different DJs and MCs on from Birmingham and the surrounding areas. I would say the difference between here and anywhere else is that it was a bit more raw." This rawness is probably why Devilman – one of the first grime MCs to emerge outside of London – made such an impact with his famous Lord of the Mics 2 freestyle battle with Skepta in 2006. The clash has since gone down in grime folklore. Hailing from a city often not as appreciated as it should be is cited as another source of inspiration for Brummie MCs. It created a hunger that Jaekae and Mist have both spoken about in interviews – rappers from the city have had to work that little bit harder than their counterparts in other cities to get their props. But why the current boom? For Vibez, it’s because local MCs and producers have been left to hone their craft – undisturbed in the background – longer than rappers from other areas. When they release material, it’s the good stuff, he says. Plus: technology. The live scene is blowing up in Birmingham too, with grime raves taking place in Digbeth (just south of the city centre), while local producers are bringing their game to the national stage, with people like S-X (the artist behind classic instrumental Woo Riddim) working with grime legend D Double E, Lil Wayne, T.I., and Childish Gambino, now embarking on his first headline tour. Maybe Birmingham rap was something national and international audiences weren’t ready for until now. But with the likes of Lady Leshurr garnering a fan base everywhere from the UK to America (including a famous fan in Nicki Minaj), Japanese grime MCs (in the case of Tokyo-based Pakin) coming to the UK specifically to work with Birmingham stars, Preditah getting signed to Atlantic Records, and Mist winning MOBO Awards, times are very much changing. Mist plays 1Xtra Live 2018 at The O2 in London on 22 September. Sideman talks being a Brummie in London on his 1Xtra show this Sunday 9 September. We've translated these rap lyrics into Posh English - can you work them out? Did you spot all these times that football and rap collided?